It’s almost an overwhelming process to sort through Stephenson’s career statistics and accolades in order to properly and somewhat succinctly sum up his college career. His name appears in the NCAA Division I record book 25 times, he was named to Collegiate Baseball’s Player of the Century team at first base, and he led the country in five different statistical categories as an upperclassman. Stephenson has more career hits (418), runs (420), total bases (730), steals (206), and walks (300) than every other player who has every played DI college baseball. Just think about that. The three-time All-Missouri Valley Conference selection and two-time First Team All-American hit .443, .411 and .447 in his first three seasons in college, which rank fifth, 17th and fourth in program history, respectively. His 47-game hitting streak as a junior is tied for the third-longest streak in DI history. Stephenson was such a terror on the basepaths that Miami designed and practiced a hidden ball trick in order to get him out in the 1982 College World Series, during a season in which he stole 86 bases in his first 90 attempts. As a junior, Stephenson was named All-America Baseball News Player of the Year and a Golden Spikes Award finalist. 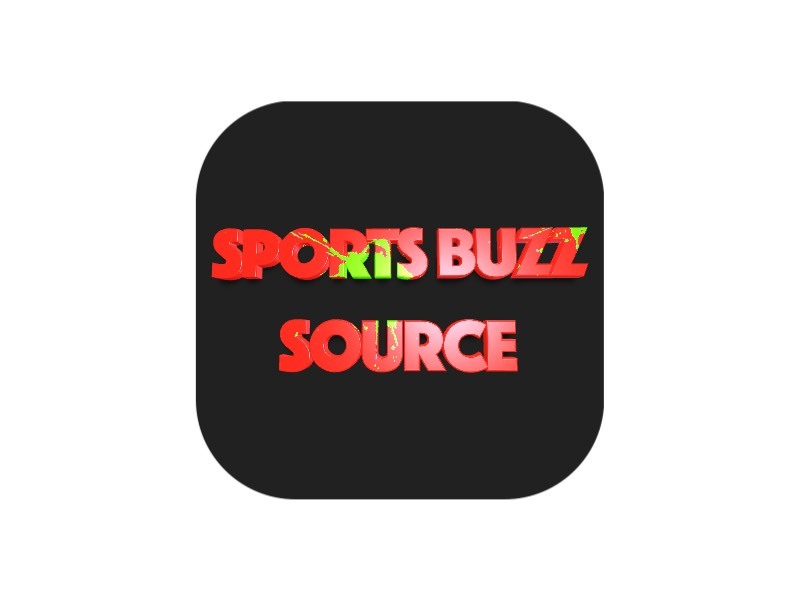 In his senior campaign, he was named Missouri Valley Conference Player of the Year while leading to the Shockers to a national runner-up finish at the College World Series. You could make the case that Phil Stepenson and Carter are the two best players in Wichita State baseball history and remarkably, they were part of the same recruiting class and spent three seasons together. Carter’s accolades include three All-American nods, two Missouri Valley Conference Player of the Year honors, and The Sporting News’ Player of the Year distinction in 1981. He holds the highest career batting average in Shockers history at .430 – his worst season at the plate came during his national player of the year campaign as a junior when he hit .411. It was clear from Carter’s first season on campus that he was going to be a special player for Wichita State, as he set WSU freshman records for batting average, hits, triples, home runs, RBI, runs, slugging percentage and total bases. His .824 slugging percentage led the NCAA in 1979, when he hit .450, drove in 101 runs and nearly had a 20/20 season with 19 home runs and 17 steals. Carter, who was later a World Series hero with the Toronto Blue Jays in 1993, led the country in total bases as a sophomore and junior, plus he led the NCAA with an impressive 120 RBI in his final season in college. His legacy includes the Missouri Valley Conference’s Player of the Year award and Wichita State’s locker room both being named after him. We’re exercising some creative freedom with this selection because Morman’s bat is too valuable to leave out of Wichita State’s all-time lineup. He only spent two seasons with the Shockers but his name is littered across the pages of Wichita State’s record book. 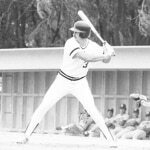 As an All-American designated hitter in 1982, he batted .378 with 24 home runs and 130 RBI, which both led the NCAA that season and still stands as a school record, while leading the team to its first-ever College World Series. He also had 20 doubles, seven triples, 63 walks and 27 steals, giving him an elite combination of power, patience at the plate and speed. He once hit safely in 10 consecutive at-bats, the second-longest such streak in school history. He set a Wichita State record with 12 RBI in the 1982 NCAA tournament, then he hit .409 with six RBI in the College World Series, which earned him a spot on the CWS All-Tournament Team. Morman split time at first base and in the outfield in 1983, when he was the Missouri Valley Conference Player of the Year after hitting .439 with 25 home runs, an NCAA-best 105 RBI, an .831 slugging percentage and 40 steals. His career average of .406 ranks fourth all-time and his .769 career slugging percentage is second. Despite playing for just two seasons in Wichita, Kan., he ranks in the top 10 in program history in both home runs and RBI. WATCH: Who’s punching their ticket to Omaha this season? Standiford wasn’t just a great power-hitting second baseman, he was a great power hitter. Period. His 69 career home runs are the most in program history, as are his 94 doubles. He ranks second in total bases (652) and walks (258), third in runs (313) and games played (287), fourth in RBI (301), fifth in career slugging percentage (.692) and seventh in hits (333). Standiford is arguably the most productive Shockers player in Wichita State’s NCAA tournament history. He holds program records for most home runs (9) and RBI (25) in the NCAA tournament, and his .426 batting average in the tournament ranks third in school history. He batted .563 in the 1988 College World Series, the best average of any Wichita State player to make it to Omaha. The infielder had a batting average above .340 every season, including a career-best .374 average as a senior, when he was named a First Team All-American and a member of the College World Series All-Tournament Team. He had double-digit home runs every season, including a program-record 28 long balls in ’88, and his on-base percentage was never worse than .480. WATCH: Could Wichita State’s Alec Bohm win the Golden Spikes Award? In his first season on campus, Ryan put together a campaign that ranks in the top five freshman seasons in program history in terms of batting average (.391), slugging percentage (.667) and on-base percentage (.514). His power numbers improved as a sophomore, when he hit 25 doubles, 13 home runs, and drove in 77 runs. Ryan reached his pinnacle as a junior, when he was named a First Team All-American and the Missouri Valley Conference Player of the Year after he batted a ridiculous .441 with 33 doubles, 23 homers, 105 RBI, and a national-best 109 runs. His .885 slugging percentage and 231 total bases that season are program records. He reached base 53 percent of the time, which was boosted by a 23-game hitting streak, and he swiped 31 bags that season. For his career, Ryan was a .367 hitter overall and .342 in the NCAA tournament. He ranks fifth all-time in Wichita State history in doubles (77), sixth in runs (286) and home runs (51), and seventh in RBI (267) and career slugging percentage (.673). With consideration also given to Brandon Green, Conor Gillaspie and even current Wichita State infielder Alec Bohm, we went with Blake, a career .354 batter who ranks fifth in program history in hits (347) and RBI (269). As a freshman, Blake was a Baseball America Freshman All-American and College World Series All-Tournament Team selection as the Shockers finished as national runners-up. He hit a team-high .366 in his first season in college, along with four home runs and 57 RBI. His numbers dipped some as a sophomore – .323, five home runs and 46 RBI – before he turned in back-to-back All-American campaigns as an upperclassman. He was named the Missouri Valley Conference Player of the Year as a senior after hitting .360 with 22 home runs, 101 RBI and a .729 slugging percentage. Blake even provided some speed on the basepaths with 19 steals that season. Blake’s 41 career home runs rank 12th in school history and he’s top 10 in games played among Shockers players. His .381 career average in the College World Series is fifth in program history. Charlie O’Brien (1980-82) and Doug Mirabelli (1990-92) both warranted consideration, as the two catchers were All-Americans behind the plate for the Shockers who also were central figures on College World Series runner-up teams. But we’re going with Wedge, a Missouri Valley Conference Hall of Famer whose junior year accolades include First Team All-American, Missouri Valley Player of the Year, Golden Spikes Award finalist and College World Series All-Tournament Team honoree. In 1989 he hit a team-high .380 with 27 doubles, a team-high 23 home runs, 99 RBI, 98 runs, a .738 slugging percentage and .527 on-base percentage, while leading the country in walks (88) and total bases (206). He had a 25-game hitting streak and an 11-game hitting streak in the NCAA tournament. Wedge’s 15 RBI in the 1989 NCAA tournament are a program record. For his career, Wedge hit 54 doubles, 45 home runs and 206 RBI with 173 walks and 454 total bases. He had a .300 average in the College World Series and scored 22 runs in the NCAA tournament – the second-most in a career in program history. This was a tough call as Mike Lansing (1987-90), Jason Adams (1992-95) and Zach Sorensen (1996-98), along with Wimmer, gave Wichita State a decade-plus of strong shortstop play and each player warranted consideration. There isn’t a “right” or “wrong” choice among that group but we went with Wimmer, who was named a Baseball America Freshman All-American in 1990, then followed up that season with two All-American campaigns. Wimmer’s power numbers don’t jump off the page, but as we craft an all-time Wichita State starting lineup, his speed, fielding and high average are huge additions. He had a .992 fielding percentage as a freshman, which is remarkable for any position but especially for shortstop. As a sophomore, he was a member of the Shockers’ College World Series runner-up team, while leading the country in hits (125) and runs (99). He batted .401 that season, drove in 68 runs and recorded a .468 on-base percentage. He stole 136 bases in three seasons, including a career-best 54 as a sophomore and national-best 52 as a junior. His .366 career batting average ranks 13th in program history, he hit .320 in the College World Series in his career, his 32-game hitting streak ranks third in Wichita State history and he holds two of the Shockers’ top four single-season defensive assist totals. Wichita State has had several outstanding college pitchers in the last 40 years and Bryan Oelkers, Ken Greenwood, Greg Brummett, Darren Driefort, and Braden Looper are among the players considered for this spot. However, when identifying a starting pitcher, it’s hard to look past Steenstra, who compiled a 39-4 record (a .906 winning percentage) in his college career, including a 17-0 record as a sophomore that was part of a two-year stretch in which he recorded 25 consecutive victories for the Shockers. During the 1991 season, Steenstra was named a First Team All-American, Golden Spikes Award finalist, Missouri Valley Conference Pitcher of the Year, and College World Series All-Tournament Team honoree as the Shockers finished as national runners-up. In addition to his undefeated record, he had a 2.17 ERA with 10 complete games in 141 innings pitched. As a freshman, he was a Baseball America Freshman All-American after posting a 9-2 record with a 2.47 ERA and he went 13-2 with a 4.30 ERA as a junior. Steenstra had four wins and a 2.53 ERA in the NCAA tournament. Wichita State has 2,187 wins in program history and Stephenson was the head coach for 1,768 of them. No of the other 21 head coaches in school history has won more than 150 games, so Stephenson’s name is basically synonymous with Shockers baseball. He led Wichita State to the 1989 national title, as well as runner-up finishes in 1982, 1991 and 1993. The Shockers’ ’82 team holds the NCAA record with 73 wins that season, when Stephenson was named Coach of the Year by All-America Baseball News. He was an 11-time Missouri Valley Conference Coach of the Year and a member of the 2014 College Baseball Hall of Fame class.